Degree in Art History from the Complutense Madrid Faculty (1990). She has been editor of The Journal of Art in Rizzoli International Publications (New York, 1990-1991); Director of Interior Design magazine (1991-1996), published by Globus Communication; Editorial Projects Director at Links International and, from 1999, she is the Director of the Arquitectura y Diseño Magazine, of RBA Magazines. From 1999 to 2002 she coordinated the Spanish edition of the magazine Room for the company Ikea and the British publisher John Brown Publishing Group (London). She has written articles on design and architecture for the Correo (El Semanal), the Experimenta magazine, the Häuser magazine, the Diario Crítico blog and in the catalogs of Perobell, Oken, Artquitect, Gandia Blasco ... companies. 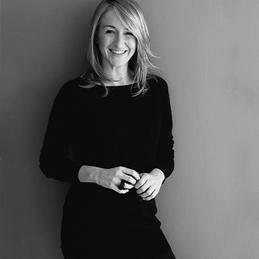 She organized the first edition of the awards for young designers of Diseño Interior (1996) and has been jury member of the design awards of the Valencia Furniture Fair (1996); of Andreu World Design Awards (2002), Adi-Fad Delta Awards (1999); AITIM Awards (2005) Roca International Design Competition (2005) and International Gandia Blasco Competiton (2008), among others.